You’ve got to love the ingenuity of the G.I. Joe fandom. Not merely content to attend the annual G.I. Joe Collector’s Convention and purchase the “official” exclusives at both JoeCon and the San Diego Comic Con, this fandom started producing its own exclusive figures. For three years now a group of die-hard Joe fans based out of Indianapolis have run their own “Coil Con“– with exhibitors, special guests, and even an exclusive figure. Held on September 8, 2012, Coil Con features specials guests including James Kavanaugh (author- RAHC Guide), Robert Atkins (artist – G.I. Joe, Snake Eyes), Gary “Gyre-Viper” Head (archivist, podcaster – Joe SpecOps podcast), and Gary Godsoe (podcaster – What’s On Joe Mind). However, since you can’t take any of them home with you– let’s talk about who you CAN bring back. 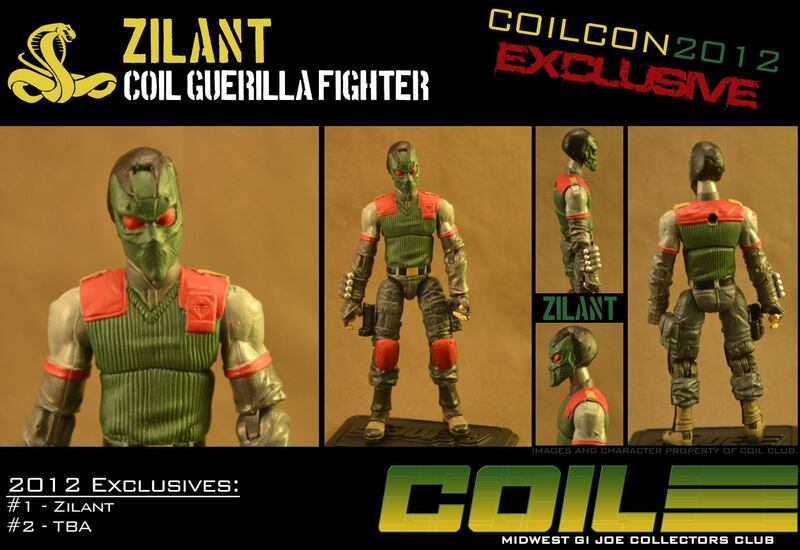 Meet Zilant— the Coil Guerilla Fighter! A legendary creature from Russian and Tatar myth, the zilant is a fearsome winged snake. Sometimes helpful, sometimes destructive, they are known for fiercely protecting their homes from incursion. Zilant was born in a small town in the Eastern European nation of Tatahkstan where he grew up sharing his father’s passion for building and flying ultralight aircraft. After Tatahkstan chose to remain independent following the dissolution of the Soviet Union, Zilant joined his nation’s fledgling armed forces, committing himself to keeping his land free from occupying forces. When Tatahkstan was later ravaged by heavy fighting between G.I. Joe and Cobra, Zilant was able to escape the carnage in one of his father’s aircraft. Driven by a desire to rid his homeland of outside oppression, he joined the COIL and used their resources to raise a homegrown force to repel both foreign armies. He combined it with his knowledge of light aircraft to become an authority in the development and use of ultralight aircraft, gliders and windsuits as a method of covertly inserting special ops troops. Recently, there’s been a new force intent on invading his homeland, so Zilant is taking action once again. He thought that he had faced and defeated his enemies, but is this new man his ultimate enemy? In one fell swoop we’ve got a background for both the name and the character! Hand-crafted by customizer (and now figure designer) extraordinaire Jay Hunger, these figures are sure to appeal to Joe fans seeking to add more “flavor” to their collections. The only place to snag this figure is at Coil Con 2012 so mark your calendars for September 8, 2012 and head to Coil Con to snag your Zilant while supplies last! Robert Atkins provides even more Cobra Commander design insights! Seriously– JBL has turned into “RobertAtkinsBattleLines” over the past week. In our proud tradition of talking up his work more than his own mother does, here’s the latest! Robert’s posted another article at this blog entitled “Cobra Commander Wasn’t Built In A Day” which delves even further into the process of designing the armor and uniform for IDW’s newest Cobra Commander. For those of you who haven’t yet read G.I. Joe vol 2 #8 be forewarned– you’re going to know the Commander’s identity within the first sentences of the article. However, this is one of those unique chances to get inside the creative process for the design of Joe’s preeminent villain. Don’t take my word for it– check out Cobra Commander Wasn’t Built In A Day! Robert Atkins discusses the new IDW Cobra Commander design! Custom figure contest!! Okay, I’m starting to sound like a broken record here with all of the new IDW Cobra Commander love. However, if there’s one thing that can sell me on a new character design in a comic it is the caliber of the artist– and there are currently non better on Joe than Robert Atkins! In his latest blog post, Robert deconstructs the process of creating the forthcoming Cobra Commander cover as well details exactly why the costume design turned out the way it did. It’s a great “behind the scenes” look at the genesis of the design for Joe’s signature villain. 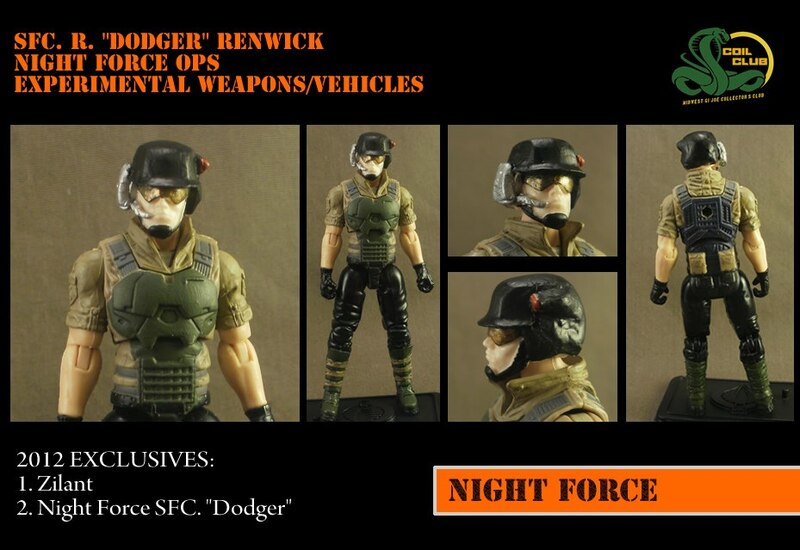 While you’re there– check out the “Robert Atkins Art Custom Figure Contest” — in which one lucky customizer will be able to win an original 11″ x 17″ commission from Robert himself!